During a photographic tour focused on Orca hunting Sea Lion pups at Punta Norte in Argentina during the seasonal month of April in 2016, I met a tour guide who had visited Torres del Paine National Park in Chile on a Puma safari. This was prior to her arrival at Punta Norte and her group had sighted eight Pumas within five days. This news excited me since I had not photographed or sighted a Puma in the wild before. Hence, I planned a visit to Torres del Paine in March 2017 from 12th to 18th. Hector, who was my ranger at Punta Norte joined me in Buenos Aires to travel to Chile with me. As planned we arrived in Torres del Paine (TDP) on the 12th afternoon in a rented a car from El Calafate airport in Argentina, after crossing the border with Chile at Rio Don Guillermo. We stayed at a lodge called Refugio Laguna Amarga for six nights. This was just outside park. The lodge had very basic facilities. For our luck a Puma tracker from another group spotted a Puma on the mountain across the road looking through his binoculars from the lawn of the lodge. It was very far to take a clear picture, but I managed to capture an image using an 800mm telephoto lens. The Puma tracker we hired, Jose Vargas Sandoval, arrived late evening on the same day to the lodge. During dinner, he briefed us on the game plan for the next five days to go in search for the Puma. This cat also known as the Cougar, Mountain Lion, Panther or Catamount, is native to the Americas only. It is the second-heaviest cat in the region after the Jaguar. The following day, at 6.30 am after breakfast, we hit the road in search of the magnificent cat that lives in the mountains of the National Park and its surroundings. Weather was excellent for photography. Sunrise was at 7.45 and sunset was at 20.20 for the day. Jose had been a Ranger in the park for many years, before starting his own business of Puma tracking safaris. Therefore, he was well aware of the locations and movements of the Pumas in the park. 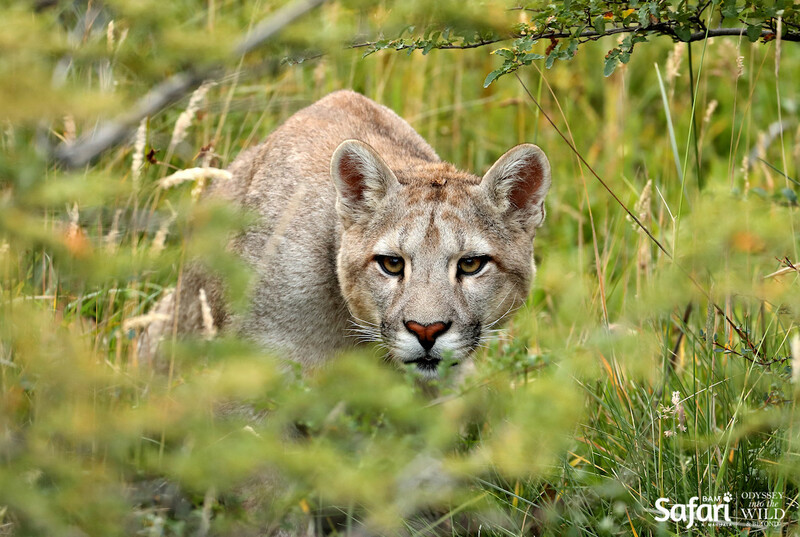 At around 7am he stopped the vehicle and walked in search of the Puma in the Rocky Mountains. Within minutes he came back running to call us. We had a brisk walk for 10 minutes before we sighted a Puma in the valley between two rocky hills with a kill of a Guanaco (a camelid native to South America). We had to keep under cover since the Puma was with her two cubs of about two months of age at a distance of approximately 50 meters down the hill. I was thrilled to be able to photograph the Puma with two cubs. However, the mother saw us and quickly moved away from us to a hide out on the banks of a lake, which was around 500 meters away from us. We followed the cat but later she came back alone to the kill and dragged the carcass to a nearby bush. 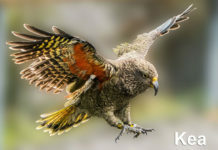 It took some time for her to cover the kill with grass to avoid birds of prey from seeing it. We spent almost three hours at the site. According to Jose, these cubs are her second litter while she is around 10 years of age. Later, we walked back to the vehicle and headed back to the lodge. Before we reached the lodge, we came across another vehicle parked on the side of the road facing a small lake. It was Jose’s son, also a puma tracker with another safari group. They had spotted three juvenile pumas resting by the tree shade on the banks of the lake. Visibility was not good for photography. According to Jose, these three young Pumas that were about 2 years old were the first litter of the same mother we had seen earlier. During the afternoon tracking for the Mountain Lion, a male was sighted resting on a rocky hill, on the side of the same road where the three Pumas had been resting by the lakeside on our morning trip. Later, we came across one of the three young pumas by the roadside. It moved in to the undergrowth when it saw our vehicle but I was able to capture a few good images. We returned to the lodge by 8 pm at sun set. Our very first day of Puma tracking had been very successful having spotted five adults and two cubs. The next day, we were on the road by 7am but it was cloudy compared to the previous day and there was a slight drizzle. Jose was at the wheel and stopped his 4×4 on hearing an alarm call from a Guanaco far up a rocky mountain. This is an indication of Puma presence, similar to that of Samber deer at Ranthambhore National park in India when tracking the Tiger. While Hector and I stayed in the vehicle, Jose walked in the direction of the Guanaco. Sometime later, he called us. Even in the inclement weather conditions we followed José without hesitation and were rewarded with the sight of an adult female Puma with a small prey of a Fox. Subsequently she moved away from us. Thereafter, we walked for at least 30 minutes on a footpath used for trekking by tourists and were fortunate to find a male and female Puma together. According to Jose, they were a young mating couple. 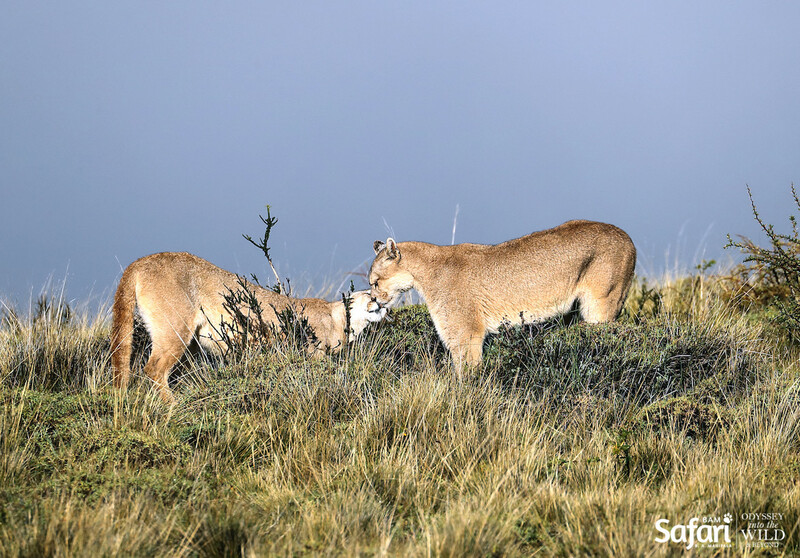 In the afternoon, once again we went to the location where the mother Puma known as the ‘Queen of Torres del Paine’ had hidden her kill. We found her in the vicinity with her two cubs but the cubs ran to the top of the hill in the opposite direction when they saw us. I told Jose that we should not disturb the cubs anymore by our intrusion. On the 15th, there was another 8 year old female sighting with an opportunity for excellent photography. 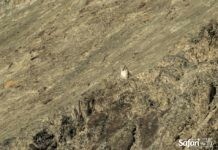 We also saw the Queen of TDP with a fresh kill of a Guanaco at the same spot as before, which surprised us. 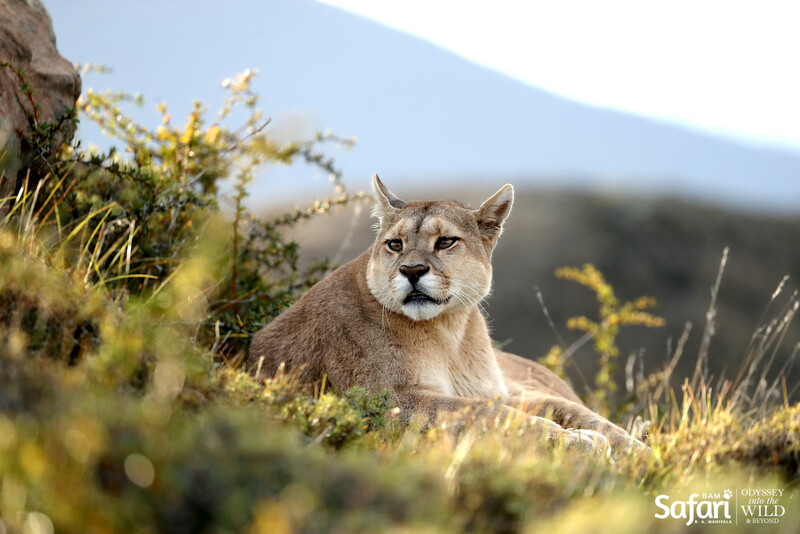 On the 16th we had to drive to Puerto Natales, 100km from the park to refuel the vehicle and on our return journey in the late afternoon a Puma was sighted in the park, possibly one of the cats we had seen before. 17th March was our last day with Jose on this tour. During the morning drive, Hector spotted a Puma lying on the ground approximately 50 meters away from the road. Later, the Puma crossed the road and it seemed to be in the mood to hunt. 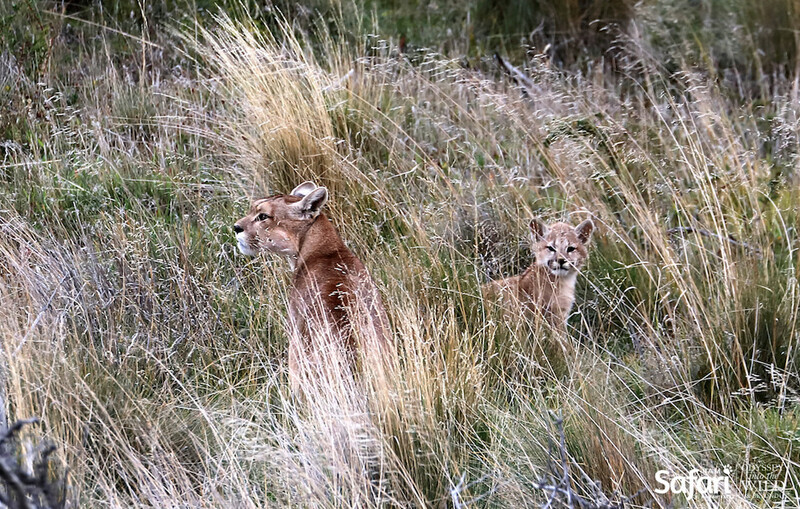 It was an exciting afternoon safari when the same Puma was spotted stalking a Guanaco. There was at least a 200-meter chase when we also had to run to keep pace for photography. But the attempt was unsuccessful. The following morning we left to El Calafate after touring the park with no results. El Calafate is a resort city similar to Nuwara Eliya in Sri Lanka. After spending two nights in El Calafate, I continued my wild life expedition in Punta Norte in Argentina from 21st to 27th of March. 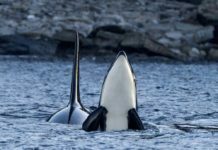 Although there were daily sighting of Orca with a few ambushes of Sea Lion pups, the photography and experience that I had in 2016 March/April Orca season was better than this year. On the 2nd April I returned to Sri Lanka after a successful tour to Torres del Paine in Chile and to Punta Norte in Argentina.